You may have products coming from multiple warehouses. 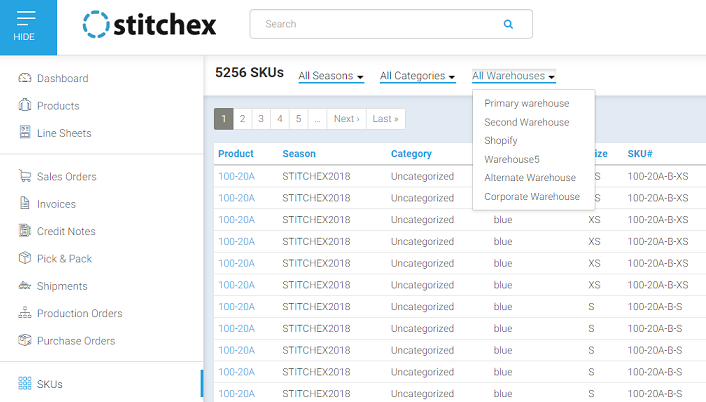 Stitchex allows you to manage your inventory for all of these warehouses to fill your sales orders and restock from your production orders. You can add as many warehouses as needed. 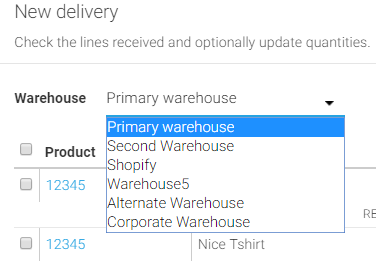 To turn on the "Multi Warehouse" functionality, navigate to Settings>Warehouse. 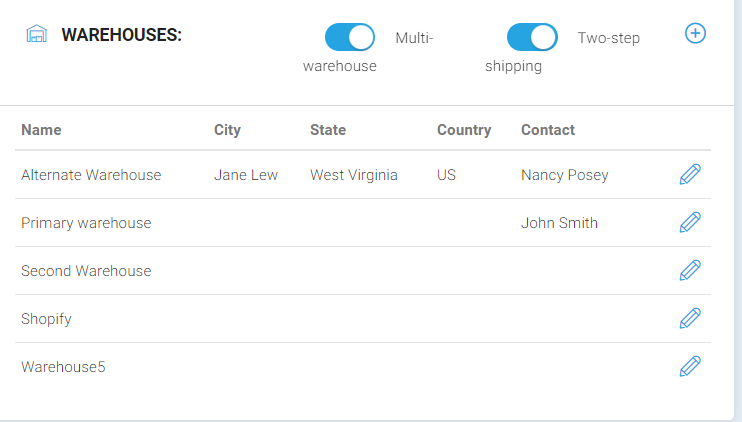 Slide the button right to enable the multi warehouse feature. Slide the button left to disable. If it is "blue", it is "enabled" as noted below. If you need to add additional warehouses, click the plus sign in the right corner of the screen. When submitting your Purchase Orders for your Production Orders, specify which Warehouse you want your supplier to deliver the product to. 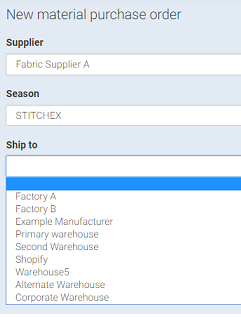 The Purchase Order option is on the main left vertical menu directly below your Production Orders. From your Production Orders, select "Delivery" from the right drop down menu. There you will see a drop down menu to select the Warehouse in which you want to receive your new production order into your inventory. 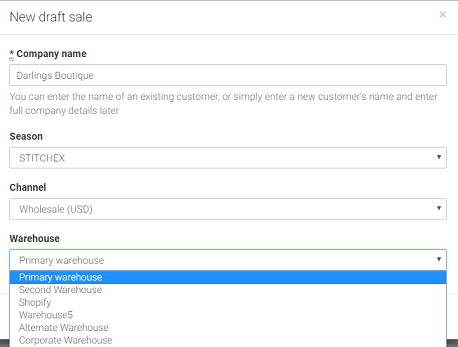 When performing your manual stock adjustments, click the edit button and change your Warehouse to one of your newly created warehouses. Use your Inventory Adjustments as explained above to receive your products from your suppliers into the appropriate warehouses. Then, from the SKU's menu, select which Warehouse you would like to view products for as shown below. You can access the SKU's menu from your main left vertical menu. Or, you can also see your SKU's directly within your specific products. 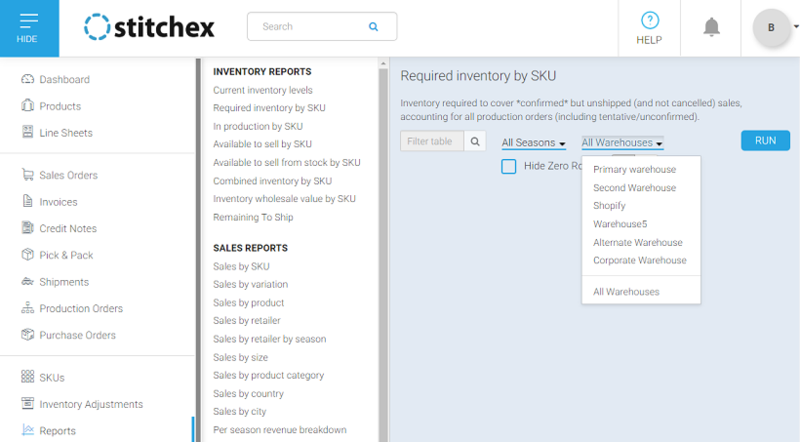 All Inventory Reports allow you to select which warehouse you want to include on the report. You can report on your current inventory levels at each warehouse or you can report on what inventory is needed to fill orders by each warehouse. See the reporting section for additional reporting options. The reporting section is available by selecting "Reports" from your main left vertical menu.